Objective: Print all the paths from left top corner to right bottom corner in two dimensional array. Output: Print all the paths. 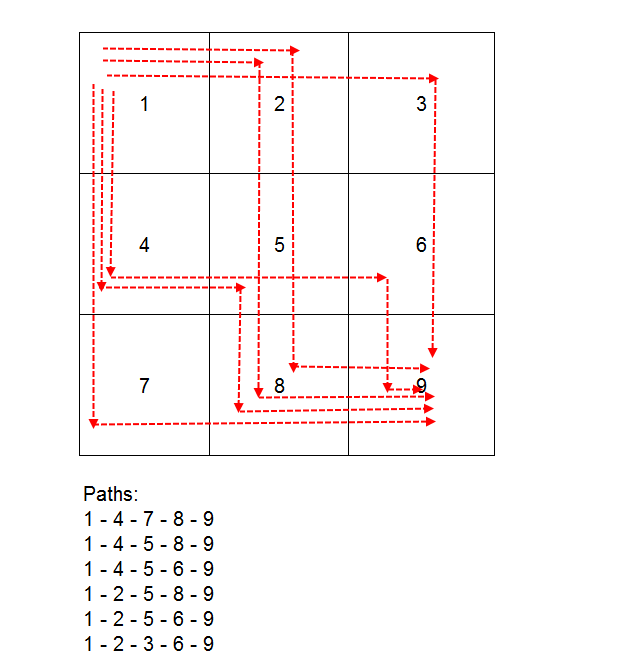 Note: At the End of the article you will know what needs to be included if you want to print the diagonal paths as well. As we need to explore all the paths from top left corner to bottom right corner, we will either travel down OR travel right. so every time either we increase the row or column. Recursion is the key here. Add array to the path. 273 queries in 0.143 seconds.